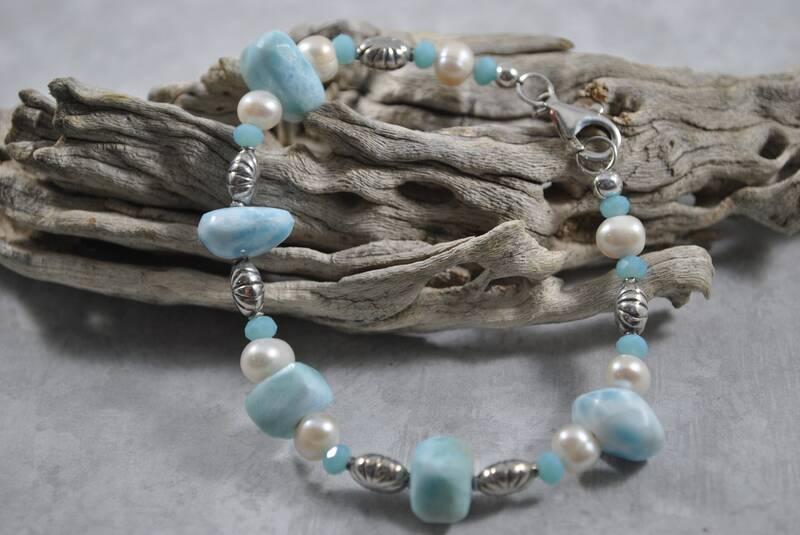 Beautiful Larimar stone nuggets are featured in this handcrafted bracelet. 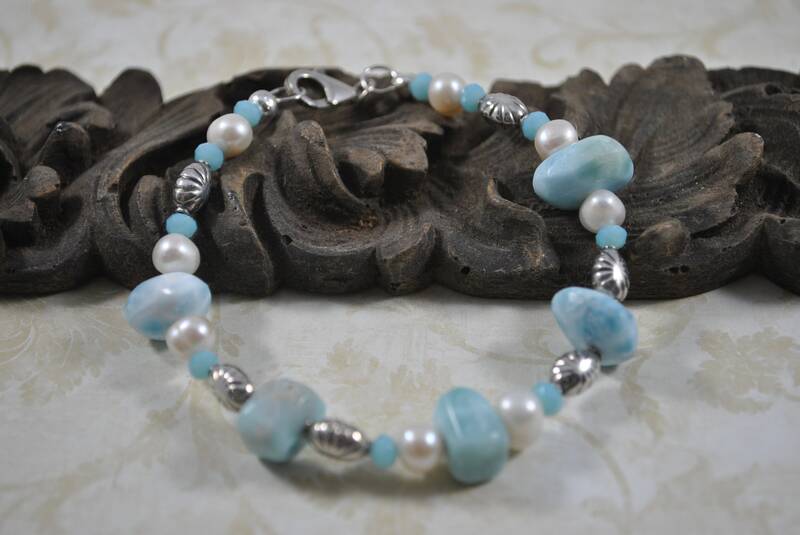 White freshwater pearls, blue crystals and Bali sterling silver beads accent the blue and white Larimar. It is finished with a sterling silver lobster clasp. 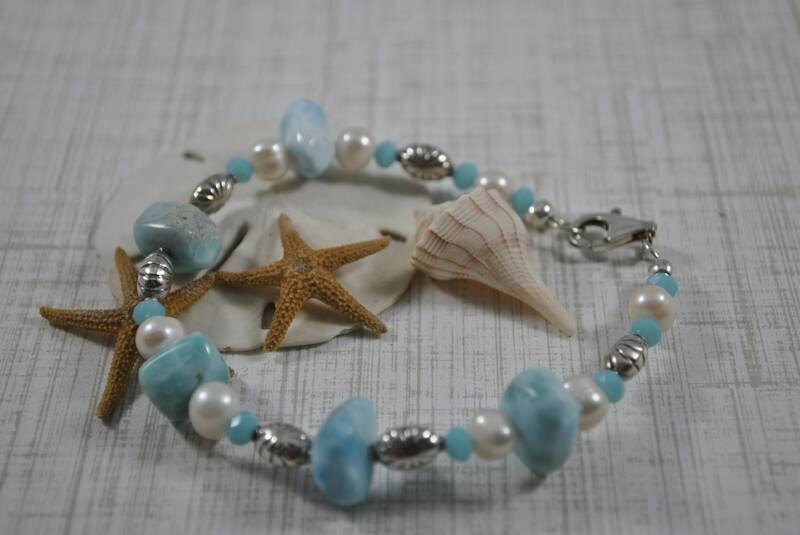 A great beach bracelet! 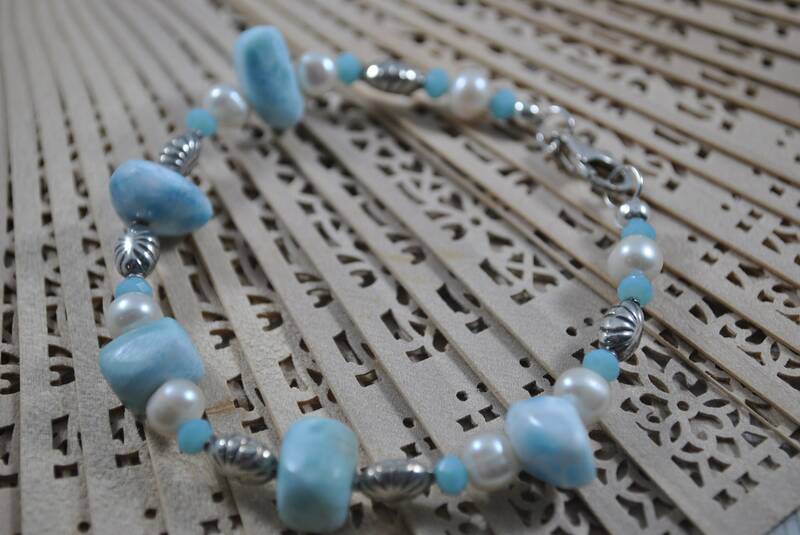 Larimar is the embodiment of the tranquil Sea and Sky energies. 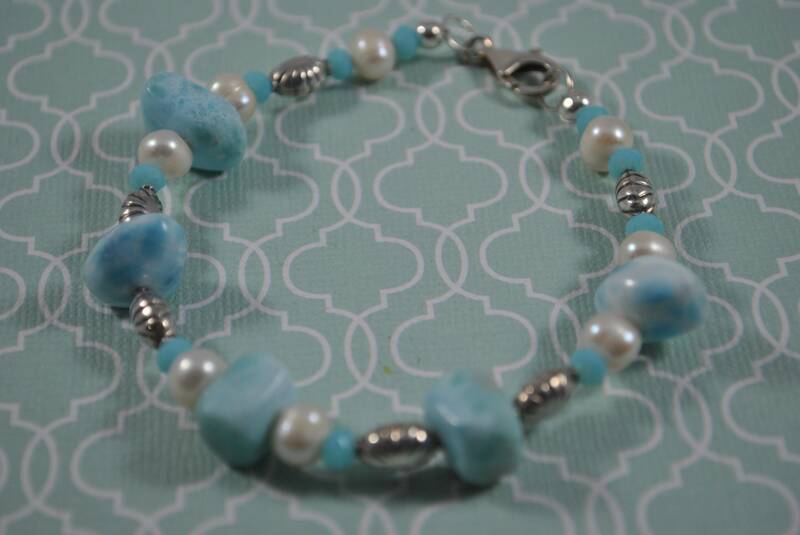 Its soft, soothing blues and calming turquoise is streaked with white patterns that resemble sunlight dancing beneath Caribbean waters. 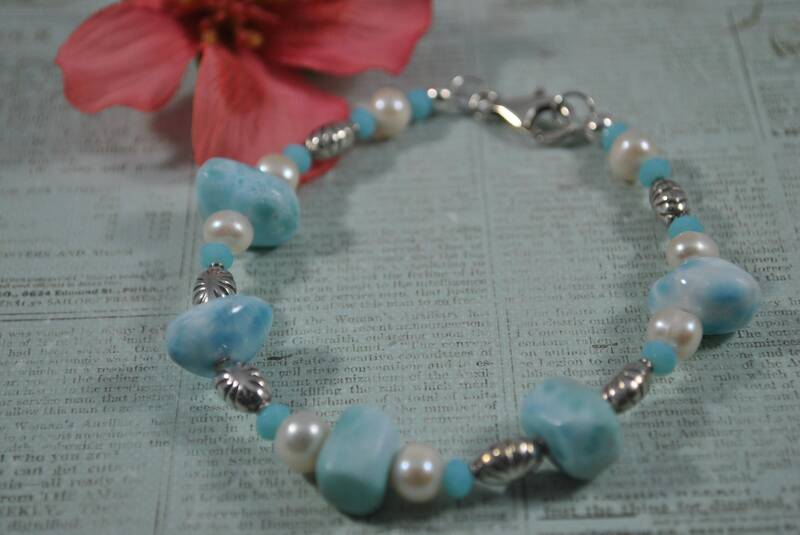 Larimar is also called "Stefilia's Stone", it is found only in the Dominican Republic, in the Caribbean.